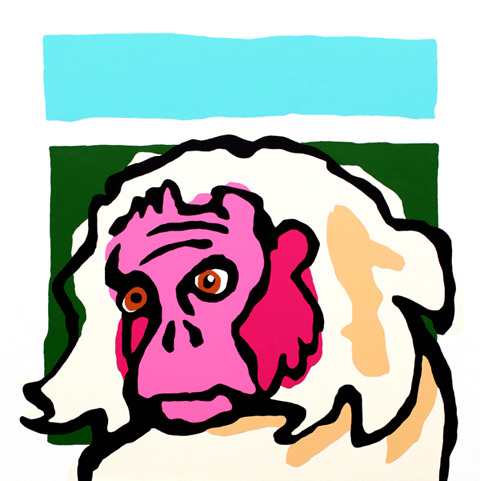 The two remaining large Monkey Modern paintings will be sold at next weekend’s Small Feats fundraiser. 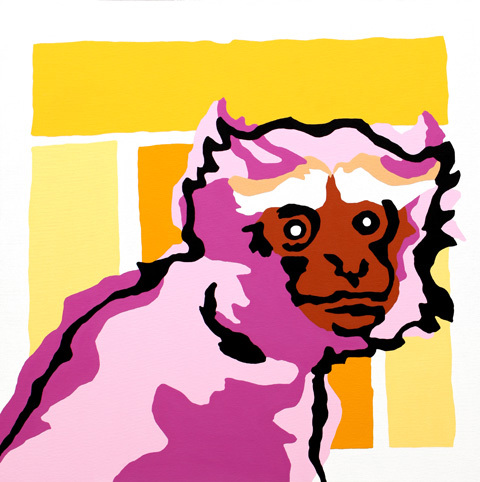 Hoolock and White Uakari will sell for $800 each, with the proceeds being split between the Niagara Artists Centre and the artist. Small Feats is NAC’s spring coming out party, an art sale like no other. Small Feats features over 150 pieces 12″x12″ artworks selling for $200 each. The proceeds are split between NAC and the artists. Art lovers stream through the doors and smartly-attired volunteers (myself and Christine included!) ring in the sales. New to the event this year are Tiny Feats @ $100 (less than a square foot) and Big Feats @ $800 (way bigger than a square foot)!